Mix softened butter, powdered sugar, & vanilla together. Stir in flour. 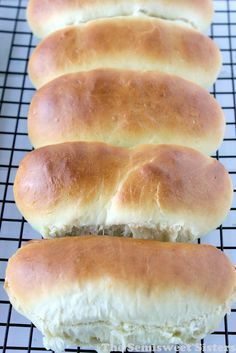 Chill dough for 20-30 min. Scoop dough into balls. Flatten with the bottom of a glass using plastic wrap in between to keep the cookies from sticking to the glass. Flatten to about ½" thick. I recently went to a new grocery store (The Fresh Market) & as I was looking around I noticed they had a fabulous looking bakery selection. I ended up buying a box of Vanilla Shortbread Cookies they sell because I was impressed by how few ingredients the label had on it, it seems like everything at the grocery stores these days has a mile long list on it. 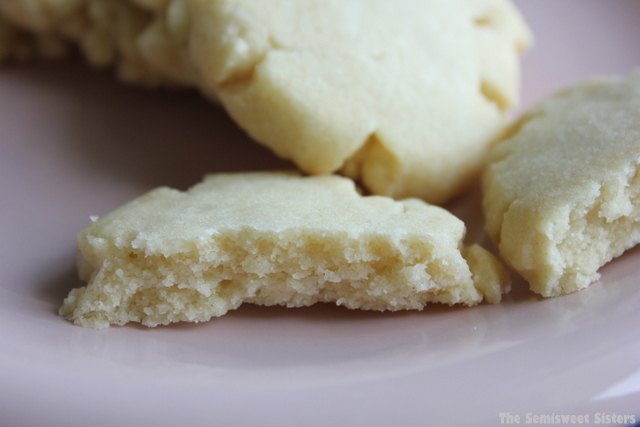 Shortbread cookies are supposed to have a short ingredient list because they are made with the basics: butter, sugar, & flour. Vanilla is also a must for me, I love vanilla so much! It’s rare for me to make a dessert that doesn’t have vanilla in it. If your looking for a high quality vanilla extract Nielsen-Massey makes one of my favorites! I thought the cookies tasted delicious, I couldn’t help but eat more than one. So I decided to try my luck and make some at home hoping they would taste similar. I was pleased with the end results of the recipe that I am about to share with you. This recipe is all about keeping it simple. These cookies have a nice rich vanilla & butter flavor. The texture is a bit crumbly. Can I substitute whole wheat pastry flour for AP flour? Would I need to add wheat gluten to the recipe? Hi, I think whole wheat pastry flour would work fine for this recipe. No, I don’t think any vital wheat gluten would need to be added. Thanks! I just used whole wheat flour for my recipe, I’ll let you know what I think of them ? Good to know! I’m glad the whole wheat flour worked! :) Thanks for sharing! This is my second time using this recipie. I don’t recommend chilling the dough for that long, I think it would dry it out too much. I usually microwave my butter for 30 seconds so that’s it looks about half melted. By vanilla do u mean extract or?? Yes, the recipe calls for Vanilla extract but you can use whatever vanilla you prefer, fresh vanilla bean, vanilla paste, or imitation vanilla. I use pure vanilla extract. If you read above, I list my favorite to use. do you know how many cookies this recipe makes? About 20-24 depending on what size you make them. How do you store and about how long would you say they stay fresh? Hi Shannon, I store mine in an air tight container or a ziploc bag. They should stay fresh for at least 3 days maybe longer. If your making them ahead of time you could freeze them so they stay fresh. Making them right now for Christmas! They look great! Hope you like them! Have a Merry Christmas! Is powdered sugar, icing sugar ? Yes, it is icing sugar also known as confectioner’s sugar too. These look great! Could I use almond extract instead of vanilla? Hi Emily, Yes you can definitely use almond extract instead of vanilla, great idea! I made this today and we love them! They are so easy to make and just melt in your mouth. Thank you for sharing this deliciousness! I’m so glad you liked them Vicki! Has anyone tried using unsalted butter? Hi Jane, I haven’t tried unsalted butter but I’m sure you could use it in this recipe. You would just want to add salt to the recipe, the ratio is usually ¼ teaspoon of salt for every stick or ½ cup of butter. Fo you use an electric mixer to mix all the ingredients? Hi Sandra, No I didn’t use an electric mixer for this recipe, I just hand mixed. When are they ready ?? In 12-15 minutes. When the cookies look set. Would you be able to roll these out and use a cookie cutter before baking? 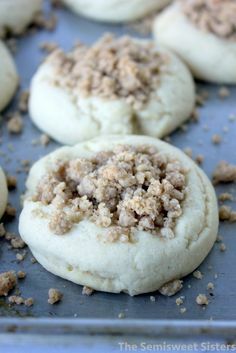 Hi Brittney, I have never tried rolling out this dough but I think the dough might be too dry to work with for making cut out cookies, you could give it a try still but it may not work. What about high altitude? Thanks! Hi Kara, I don’t have any experience with baking at high altitude. I did look up baking cookies at high altitude & found that cookie recipes often work without changes up to about 7,000 feet. I’m not sure how high above sea level you are but this recipe may work just fine without any changes from what I read. Sorry I couldn’t be of more help. I just got a large Brown Bag earthenware cookie mold and am learning how to use it (it’s second hand so no instructions). Do you know if this recipe would work baked in the mold? Hi Vicki, I’m not sure how well this recipe would work with a cookie mold, the dough is a little on the dry side so that might be an issue. 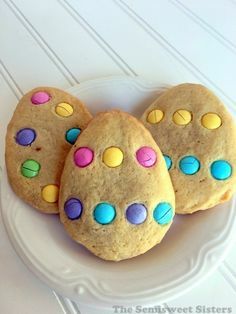 Would cake flour work in these? Half AP and half cake? Hi Meg, it might work for this recipe, I have never tried it. You usually need to add a little extra cake flour to recipes compared to all purpose flour though. The ratio of 1 cup all purpose to 1 cup cake flour is 1 cup + 2 Tablespoons I believe but the box should say on it also. Hi Amy, I’m glad you liked the recipe! So is it 2 sticks of butter and the more softened butter mine is a crumbly mess and there is no way it’s making a ball. Help!! These are for a wedding today! Hi Toni, I’m not sure what the problem is. Did you chill the dough overnight when you made these? That might have made the dough too dry. Is the dough just too dry to work with? If you let the dough warm up that might help. You could also try adding an extra tablespoon of melted butter & mixing it in to make the dough softer. I had the same issue before chilling. Added the extra T of butter, and they are perfect! I used European butter which I think has more fat. Maybe that is why? So wonderful. Thanks for sharing. My dad will love them. Hi Lynsay, Yes using European butter might have been why you needed extra flour. Hope your dad likes them! Thanks for taking the time to comment, we appreciate it! I love these! I modified it with Almond oil and slivered almonds in the batter this time around, can’t wait to try them! Sounds good! Glad you like them! They were fabulous! Making them for the 4th time!! Love butter! Hi Sarah, I’m so glad you liked the recipe! I’ve never tried making this recipe into bars, sounds good! Should I spray the baking sheet before baking? HI Logan, I baked mine on an un-greased cookie sheet but you can always bake them on a greased cookie sheet if you want. I totally cheated on this recipe! When I refrigerated the dough – I did so in a log then when I took it out I just cut the cookies that way – not sure what effect it has on the cookies other than them looking slightly less smooth but I saved a lot of time so I’m happy with it! Great idea Nicky. I’m all about improvising & saving time while baking. Simply delicious! Hubby and I gobbled up the 1st batch. Making a 2nd for our neighbors. Thank you for sharing!! Hi Lila! Awesome, I’m glad you and your hubby liked this cookie recipe! Can you use shortening instead of butter? If so, how much? Hi, I’m not sure if shortening would work for this recipe, butter is the key flavoring with shortbread so it’s recommended that you use butter. Can i use light brown sugar instead of powered sugar? Hi Katherine, I am not sure about using brown sugar for this recipe I have never tried it. I looked up brown sugar shortbread & they seem to call for adding 1/2 cup more flour. 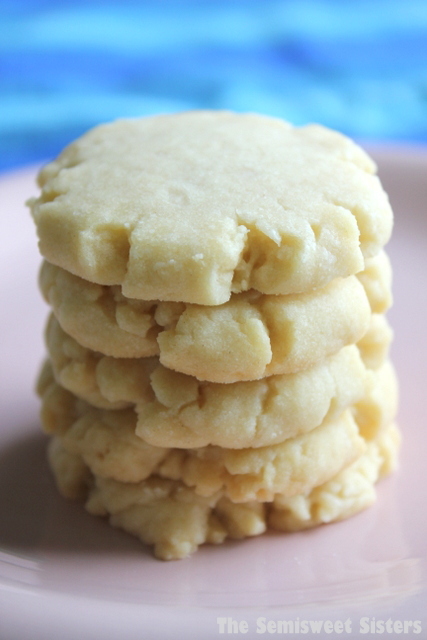 Hi, Katie I love shortbread cookies and this recipe is great ! 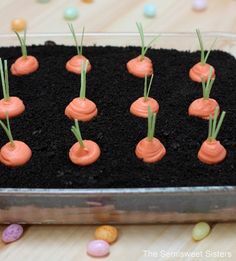 So simple and you can add different favors or nuts too it. 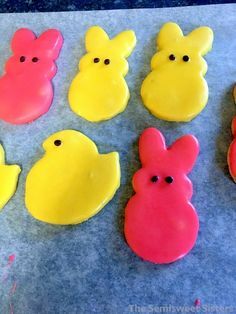 Thanks so much my batch came out great and my kids eat them all so now I have to make another batch lol. Hi Edna, I’m so glad you liked the shortbread recipe! ow can I make these chocolate shortbread? I have never tried it but you could. It might be good with mini chocolate chips too. Just made these. Buttery and flaky. Delicious. I added dried lavender to them. Tastes wonderful. Added approximately 1 tablespoon. Will make over and over. Hi Mardi, Love the idea of adding lavender to the recipe! I’m glad you liked them! Made again and used not only lavender but grated lemon rind. Delicious. Wow! I love this recipe… it was easy and fun to make. I like using almond extract whenever possible so I used one teaspoon vanilla and one almond extract. I topped each one with sugar as you suggested. YUM…Thank you so much!!! Hi Ana, I’m so glad you liked the recipe! What is the chocolate filling in between the cookies that I see in the picture? 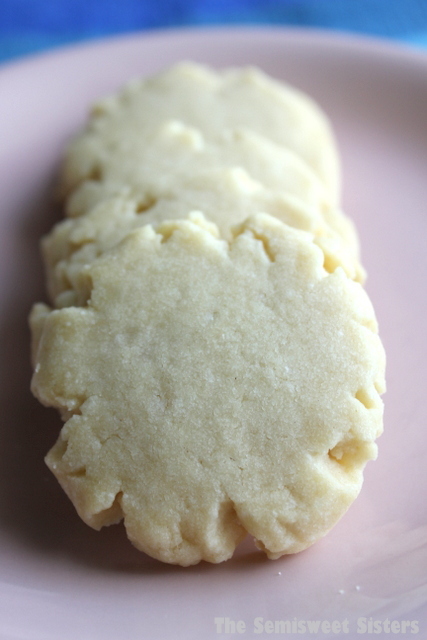 I’d love the recipe for that to include when making these shortbread cookies! Can’t wait to try it! Hi Jessica, I don’t have a recipe for chocolate filling with shortbread cookies but you can melt chocolate chips in the microwave for about 30 seconds and spread on the cookies. 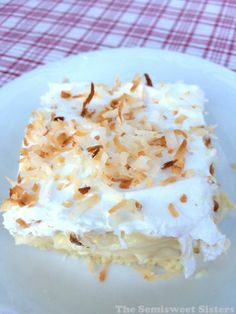 awesome recipe!my family loved it! Love the recipe ! Can these be stored in a tin Xmas can in the fridge or will they dry out ? Hi Melissa, The cookies will probably be okay as long as they are covered. I usually still put mine in a ziploc bag inside a tin to be safe. just made some and after they cooled dipped them in chocolate and added some holiday sprinkles! Also I used Earth Balance to make them vegan! just needed a little bit more than 1 cup to keep the dough together! Dipping them in chocolate sounds delicious! I love using Earth Balance as a substitute in recipes, I’m glad it worked for this recipe. Happy Holidays! I add a little sea salt and a couple teaspoons of lemon juice to this recipe to brighten the flavors. (I’m a lemon addict though, so keep that in mind.) This is a fantastic recipe, and so simple! This will be about my fifth time making them. Thank you!! Hi Bridgette, Thanks for commenting! I love lemon flavor too, I will have to try adding it sometime. I missed a step and didnt refrigerate the dough in between making it and baking it… will this affect them a lot? Hi Rachel, I hope your cookies turned out okay. Refrigerating them helps them to hold their shape so they don’t end up too flat but usually most recipes will still turn out. I’m making these for my mother in law. Does this dough freeze well. Hi Carla, I have not frozen the dough for this recipe yet but I think it would freeze well. I find it tastes best if used within 1 week though with frozen cookie dough. Thanks. These little gems of butter and vanilla are simply divine! I used evaporated sugar (unprocessed cane sugar, it looks the same as white granulated only off white) instead of powdered sugar and they turned out fine. I baked them for 12 min. @ 350°F, maybe I’ll bake them for 15 min. next time to get them a little more crunch and nutty flavor. Hi Heather, I’ll have to try using evaporated sugar sometime. I’m glad they turned out for you! Thanks for taking the time to comment, we appreciate it!